This project resulted in the seismic stabilization, modernization and expansion of an existing three-story historic structure. 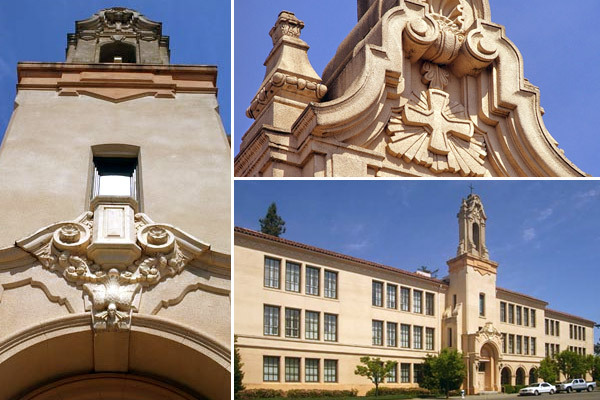 The modernization included installation of a new elevator, windows, roofing, and HVAC systems to allow the building to function as offices and meeting facilities for the Catholic Diocese of Santa Rosa. The seismic stabilization of the building included the replacement of the concrete “bell tower” with a much lighter weight replica of light gauge steel and foam. In addition to the exterior restoration work, the first floor was completely renovated into an assembly facility with a large auditorium and an addition was constructed to house a commercial kitchen for Parish and community events. We feel the project not only restored the building to its original beauty, but also provided the impetus for the subsequent architectural rebirth of the surrounding neighborhood.